Orkibal’s work for DISINI is both introspective and reflective. With a title that translates in English to ‘Emotions and the Heart’, the mural speaks of his experiences in recent years - where he has undergone his toughest mental and physical challenges to date. At times ‘crippled’ by a chronic case of gout, he senses his limitations in the face of such trials and views this as god’s test for himself. 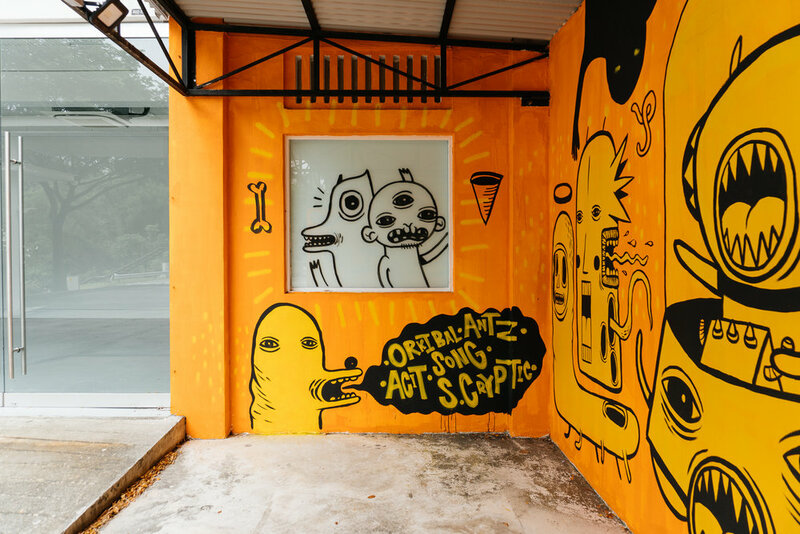 A self-taught graffiti artist, Orkibal creates visually striking and bold illustrations that draw from graphic design and fine art. 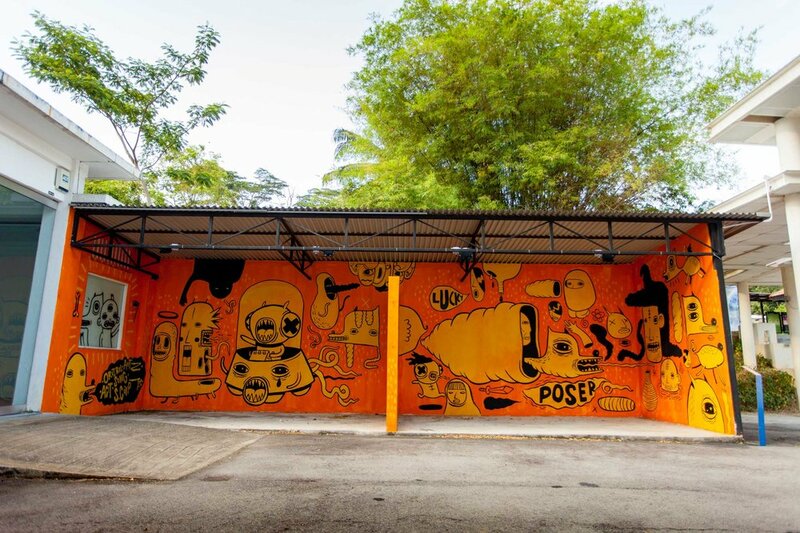 He has participated in exhibitions such as Jalan: Street Speak International 1.0 (2016) at Vallette Gallery, Malaysia; Ekspress Rakyat (2011) at Chan Hampe Gallery, Singapore and Tapau Groupies Not Die (2009) - part of the F&N Freestyle Peninsular Tour, Malaysia.